The word Yoga once evoked images in my mind of people bending themselves into impossible shapes and postures that required a degree in gymnastics. However, Yoga is not gymnastics. Yoga means to know life by experience. Through my journey with Yoga I realised that we are in constant transaction with nature and that being human is not a fixed state of existence. Yoga is an ongoing process to ensure we don’t become trapped by our own self limiting perceptions of reality. After facing a life threatening illness, and having to learn to walk again, I rushed back to the fast paced corporate world. A world where I’d battled years of anxiety and mental health issues that left me with an unceasing desire to feel good. I’d once escaped the discomfort of this world through drugs, alcohol and an extreme way of living. Taking up yoga & meditation was far from my list of priorities but my reckless approach to life wasn’t sustainable, especially following my illness. Through discovering the powerful tools of kundalini yoga & meditation I learned that change is possible, despite the obstacles and challenges we face in life. Following this path of yoga led me to a greater understanding that there’s meaning, purpose and truth in the mechanics of existence. 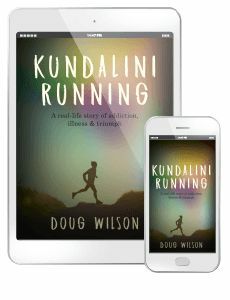 The human technologies behind these mechanics is what we refer to as yoga – refined sciences of knowledge and life legacies that have withstood the test of time for a reason: because they work..
Kundalini is a natural phenomena of energy. It resides in everyone and powers the dynamic forces of life that move us. 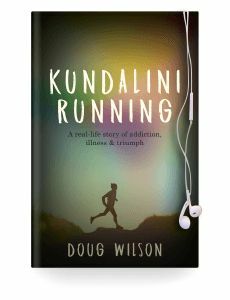 Kundalini yoga & meditation awakens this energy which brings awareness to the behavioural patterns that prevent our physical, mental and emotional health from flourishing. 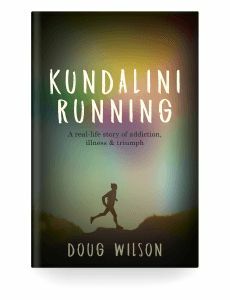 The story of Kundalini Running is one of radical growth and transformation. It portrays what’s possible through the practices of yoga & meditation and reflects an experience of living life in reality with greater health and vitality, something that everyone has the right to.